How many of these use cases are relevant to your business? 3-D Secure is known as a conversion rate killer. Some online shoppers would rather abandon their shopping cart than spend time typing card details. QR codes are the way to improve their experience. When it’s time to checkout, the buyer can simply choose his bank from a dropdown list. Then the bank’s processing host generates a QR code that will appear on screen instantly. The buyer scans this code with a mobile banking or digital wallet app, and OpenWay’s WAY4 host enables him to select an existing card or account to finalise the payment. The QR-based checkout is convenient and quick with no typing required. Sometimes people don’t trust an e-merchant enough to provide their card details online. The WAY4 Digital Wallet solution can solve this problem. During checkout, the buyer scans a QR code and the payment amount is blocked on their credit card. When the order is delivered, the buyer finds another QR code inside the package and scans it to confirm that the blocked sum should be transferred to the merchant. This solution is especially popular in those regions where cash-on-delivery prevails over other payment methods. Mobile wallets used in the transit sector are increasingly common nowadays, thus you need something extra to succeed. Our solution lets passengers pass through pay-gates much faster and also minimises the interchange fees on micropayments for acquirers. WAY4 stores a passenger’s card transaction history to analyse it at the moment of a transport payment. For cards identified as trusted, the payment will be approved even before the reply from the issuer is received. When the passenger taps his mobile device to the terminal, his payment details are secure due to the tokenisation functionality of WAY4 Digital Wallet. The issuer can generate tokens in-house or tokenisation services of Visa and Mastercard. Furthermore, our platform aggregates many transit micropayments into one bigger transaction to be sent to the international payment schemes. It is crucial for certain kinds of transit environments where the internet connection is unstable and the POS terminal has to send scheduled authorisations for a combined amount. This feature also results in lower interchange fees. If the NFC infrastructure is under-developed, transit authorities can place QR codes on the walls of public transport stations and vehicles. By scanning such codes, passengers can buy tickets when and where they actually need them. Many retailers find it more cost-effective to expand their business with mobile innovations as opposed to new brick and mortar stores. Placing QR codes on advertising banners in crowded public places – subway stations, hospitals, sport stadiums and so on – allows consumers to make spontaneous and regular purchases quickly and easily. When the QR code is scanned, the mobile wallet can apply a default payment card and home address to this order, or allow the buyer to supply new details. Olympics, art festivals and business congresses are good news for local retailers, but buyers complain about longer than usual checkout lines. To improve customer experience, the bank can partner with the organizing committee and promote an event-related mobile app. The app user can issue a prepaid card and use these funds for mobile purchase of tickets, food and beverage, souvenirs and more. 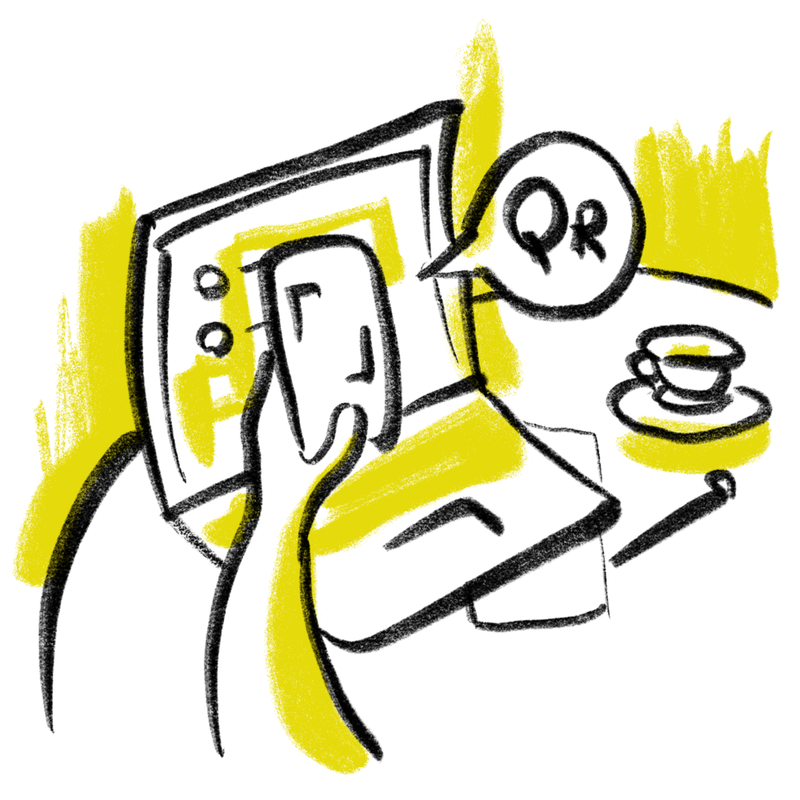 Due to NFC tapping or QR code scanning, payments become faster and wait lines at POS – shorter. With the increased checkout speed, merchants can serve more customers during each event activity and get more profit. In certain countries the tourism share of GDP is 10% and higher but the infrastructure for plastic card acceptance is still under-developed. A smart innovative bank approaches foreigners as soon as they enter the country, right in the airport – offering them to issue a prepaid card and personalise it via a mobile app. This mobile wallet supports QR payments and displays promotions and discounts of the participating merchants. Additionally it can provide tips on the country’s attractions and cultural peculiarities. When tourists go shopping, dining or sightseeing, they pay by scanning the unique QR code of each merchant. Their regular plastic cards stays secure in a hotel safe, and their pockets are not overloaded with local banknotes. You are probably familiar with this awkward situation when several people dined together and the waiter brought them a combined bill. Let’s assume they all want to contribute to this payment. It can be done conveniently with the mobile apps that support instant P2P transfers and QR scanning. There is one customer who pays the bill in full. Others scan a QR code on the payer’s phone to transfer their contribution to the payer’s account. If they decide to split the bill evenly, it is the same code for everyone. Otherwise the application can generate several codes with different shares.